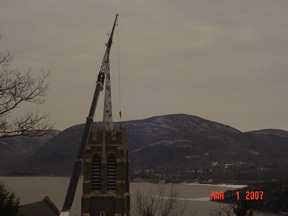 Title : Tower Shoring, USMA, West Point, N.Y. 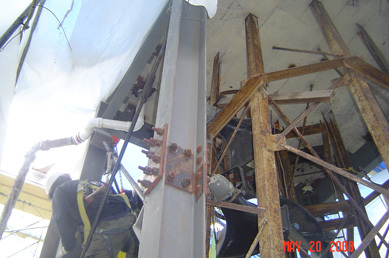 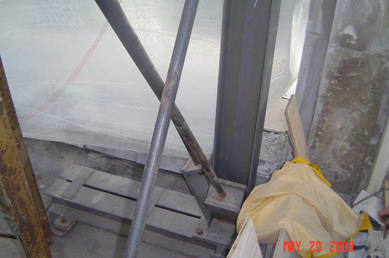 Installed structural I Beams and bracing in steeple in Catholic Church to stabilize tower during high winds. 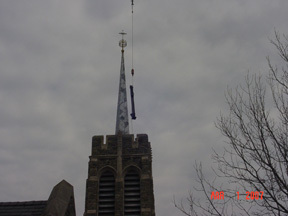 12'' and 8" beams were lowered into steeple by crane through the roof hatch.